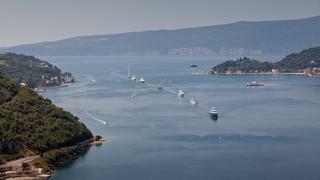 Montenegro is fast becoming a prime location for luxury yacht charters. A gem of the Adriatic, Montenegro offers remarkable natural beauty, with breathtaking waterfalls, lush mountains, still lakes and dramatic rivers. A superyacht charter in Montenegro will allow you to experience the best of this once famous yachting destination, which is now enjoying a second golden age – some say Montenegro rivals Monaco for charters! After escaping relatively unscathed from the Balkan civil war in the 1990s and separating from Serbia in 2006, the newly independent nation of Montenegro had a blank canvas upon which to shape a future where luxury yacht vacations are clearly important. If you decide to charter a luxury yacht in Montenegro, a must-see destination is BokaKotorska (Bay of Kotor). It has become a world-class superyacht playground – due to its fjord-like landscape, steep mountainous sides and calm green waters. 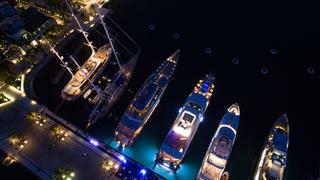 Superyacht heaven Porto Montenegro also has some of the best facilities in Europe and is host to the Boat International's superyacht rendezvous. When to charter a luxury yacht in Montenegro: For warm dry weather the best time to visit is between June and September. From mid July through to August the Adriatic is busy with holidaymakers from all over the world. June and September are quieter months though the sea temperatures may be a little fresh in June. Nearby potential superyacht destinations: Many owners combine a luxury yacht charter in Montenegro with a visit to superyacht hotspot Croatia and possibly Venice. Where to berth your superyacht in Montenegro: Porto Montenegro is the most established marina and is also a top Mediterranean party destination. The towns of Budva and Kotor have limited berthing facilities for superyachts and there are several suitable anchorages in the Bay of Kotor. Other bays along the coast such as Bigova and Valdanos are suitable in some weather conditions or for a lunchtime stop. Take note: Foreign-flagged yachts must purchase a vignette (permit) to use Montenegro’s navigable waters. 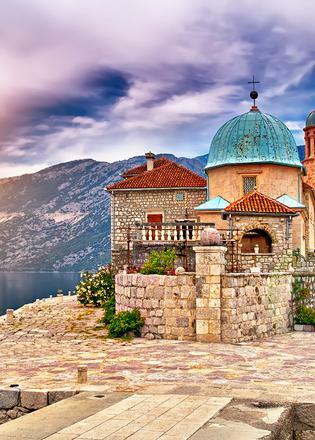 How to get to Montenegro: The country has two international airports, Tivat and Podgorica. Tivat ‘TIV’ carries the most passengers, and has one of the most difficult but stunning approaches in Europe between the mountains of BokaKotorska Bay on the northern coast. Both of the airports can accommodate private jets. Customs, immigration and visas in Montenegro: The country is an EU-candidate state. Citizens of the EU, US, Canada, Australia and New Zealand do not need a visa and can stay for up to 90 days. Citizens of South Africa and the United Arab Emirates require a visa. The usual modest amounts of cigarettes and alcohol can be brought in duty free. Departure and other taxes in Montenegro: A departure tax of €15 Euros is levied on international flights. VAT runs at 17%, with a reduced 7% rate for some foods, drinks and hotel services. Things to consider when chartering a luxury yacht in Montenegro: There is a small risk of rabies, particularly inland, so avoid stray dogs. Crime rates are generally low though it is advisable to keep personal belongings safe and follow the principles of normal common sense. If you are tempted to visit on a luxury yacht don't miss our guide to three days in Montenegro.